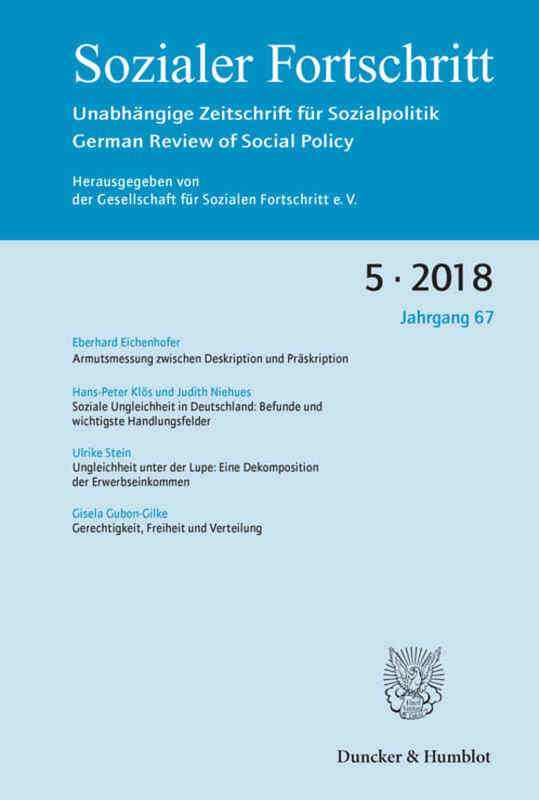 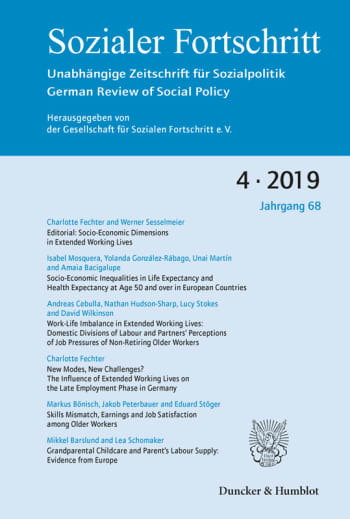 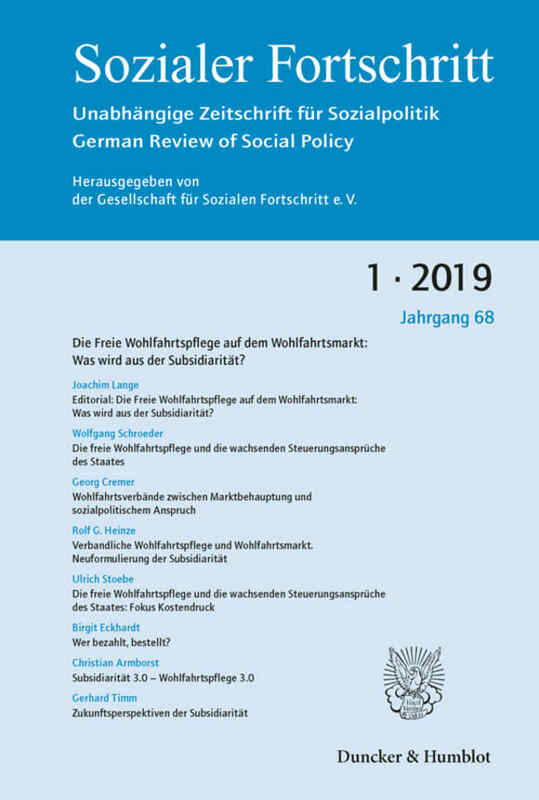 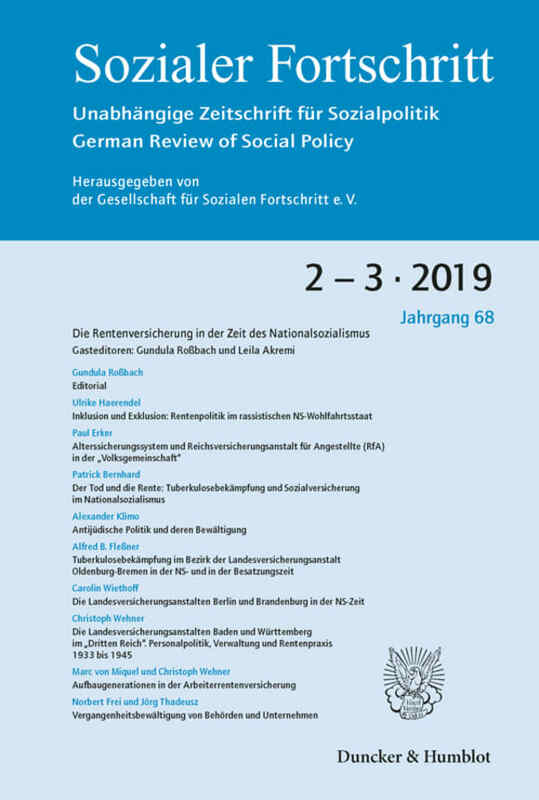 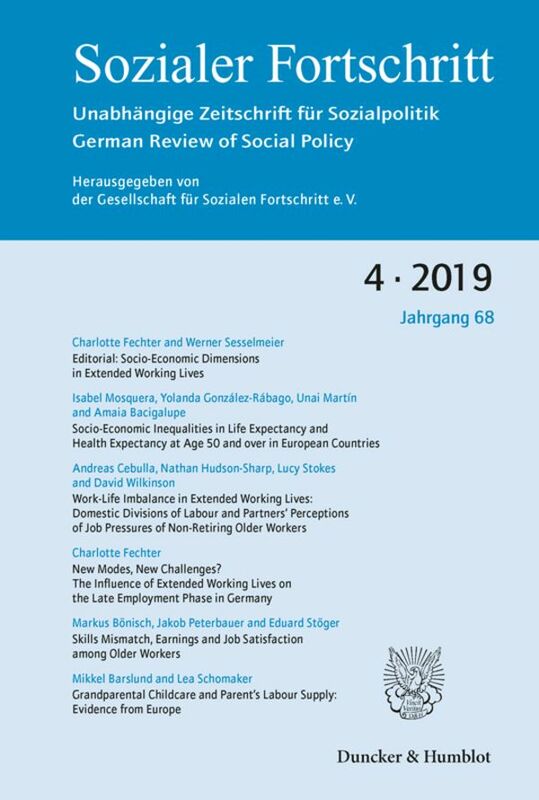 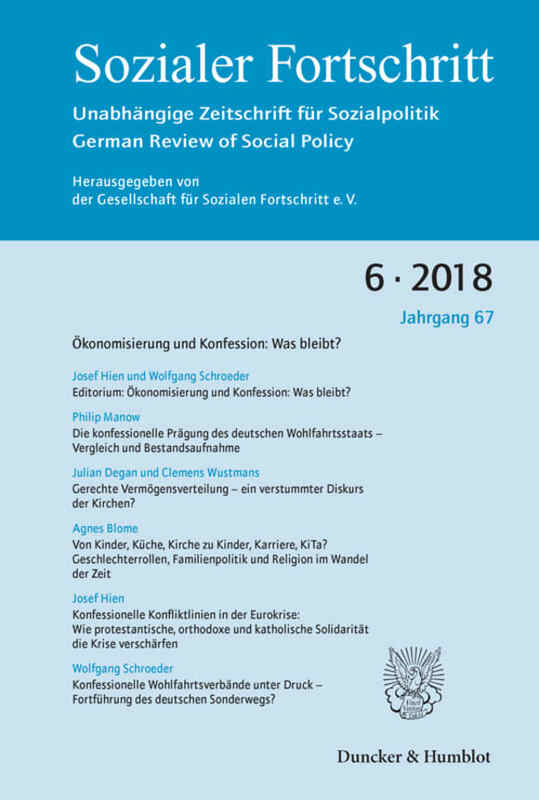 Every month, the peer-reviewed journal Sozialer Fortschritt, the »German Review of Social Policy«, provides information, analysis, and reform proposals across the complete spectrum of social policy. 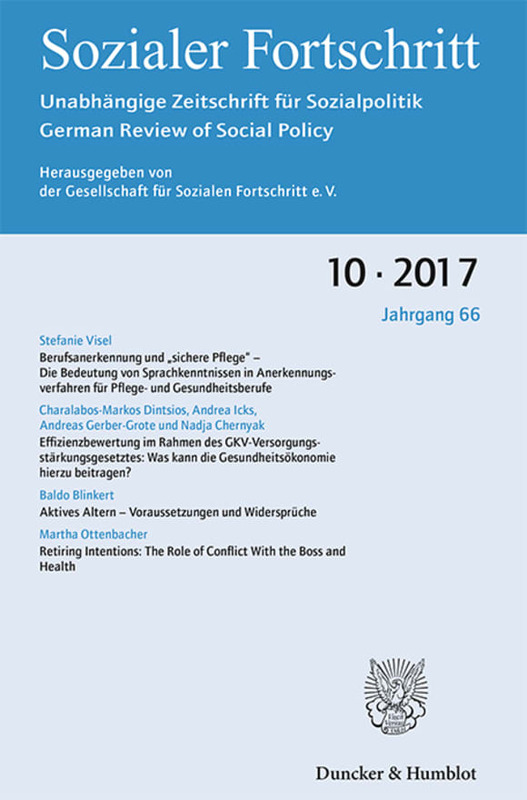 It is not only the »major« topics of current debates that are critically assessed. 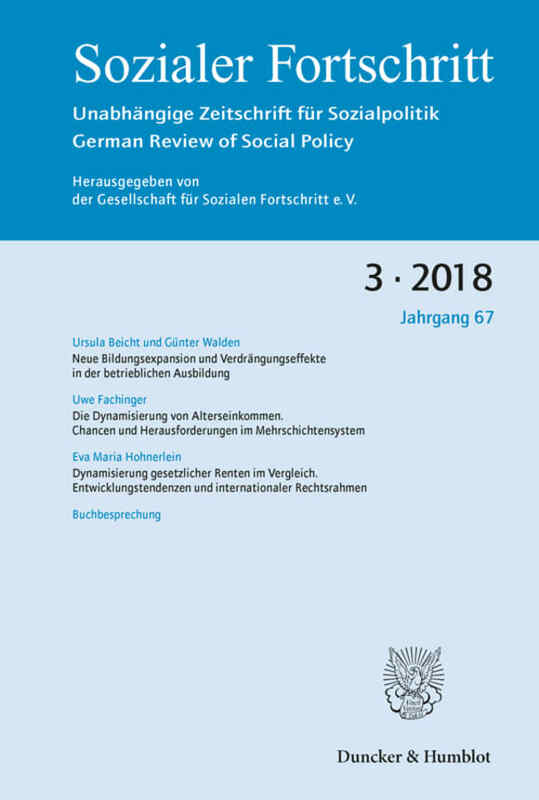 An important objective is to address areas of social policy that would otherwise either frequently be overlooked or only be dealt with in highly specialized journals. 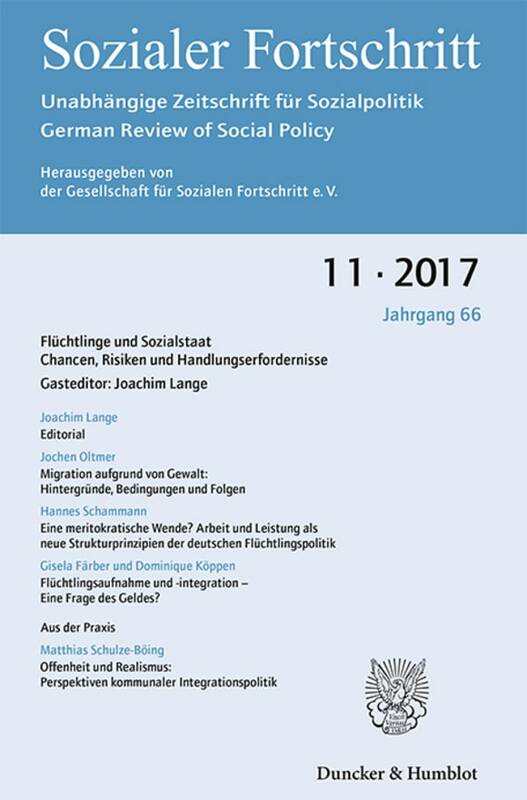 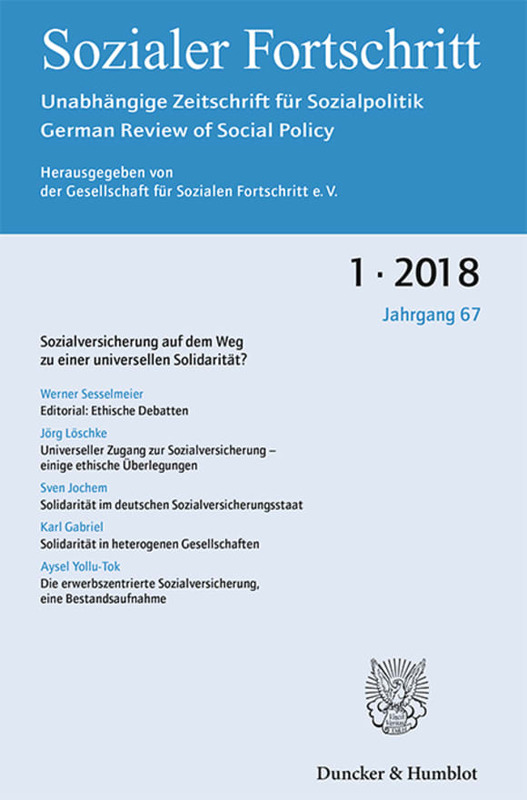 In contributions on current issues, Sozialer Fortschritt provides a forum for academic analyses and reform proposals that deal with the fundamental concerns of social policy and social security. 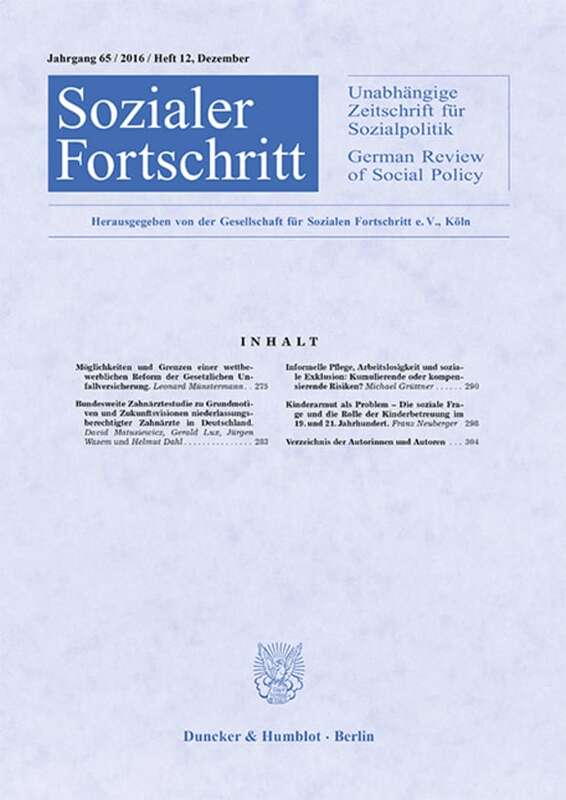 In such contributions, important stimuli have been and are given to the further development of social policy. 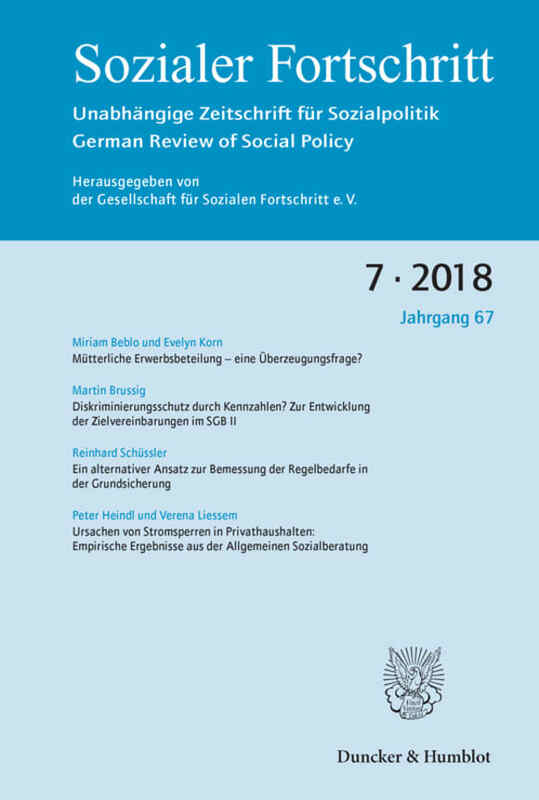 In addition to individual issues of the journal that cover a diverse range of topics, regular special issues collect together articles on selected social policy themes. 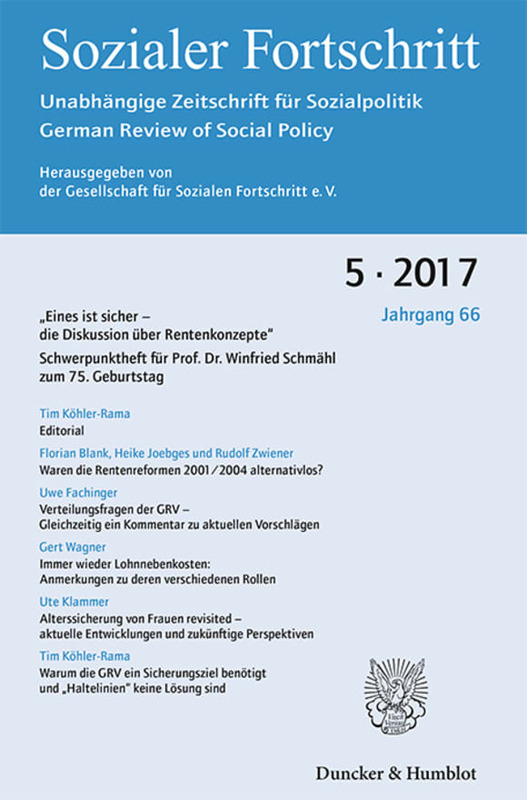 Sozialer Fortschritt offers renowned academics as well as early-career researchers a scholarly output for their findings. 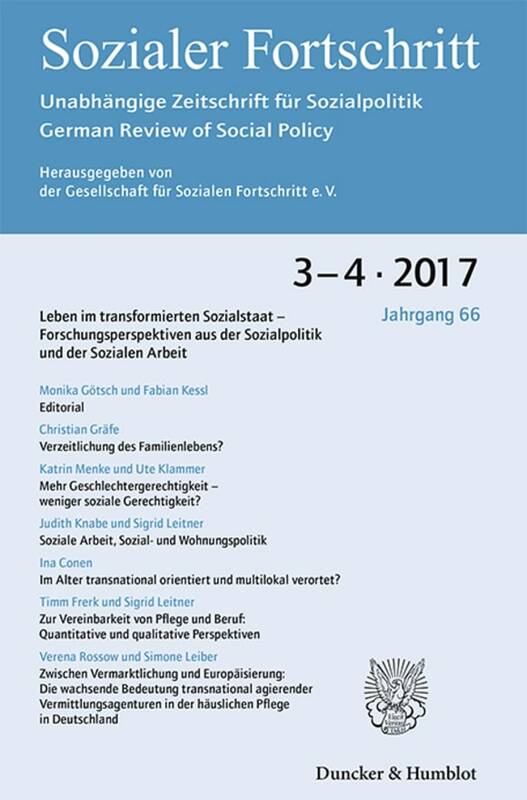 Moreover, under the section »Views from Practitioners«, those directly involved in social policy present their insights. 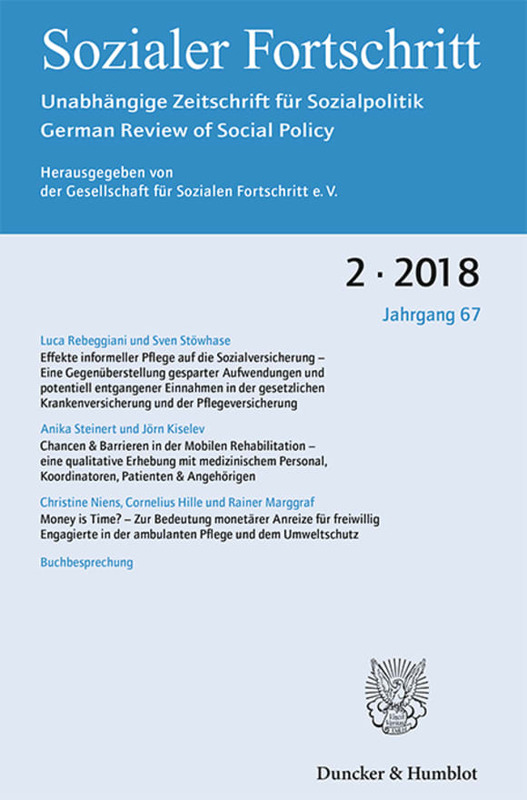 The regulation of minimum wages in selected EU member states. 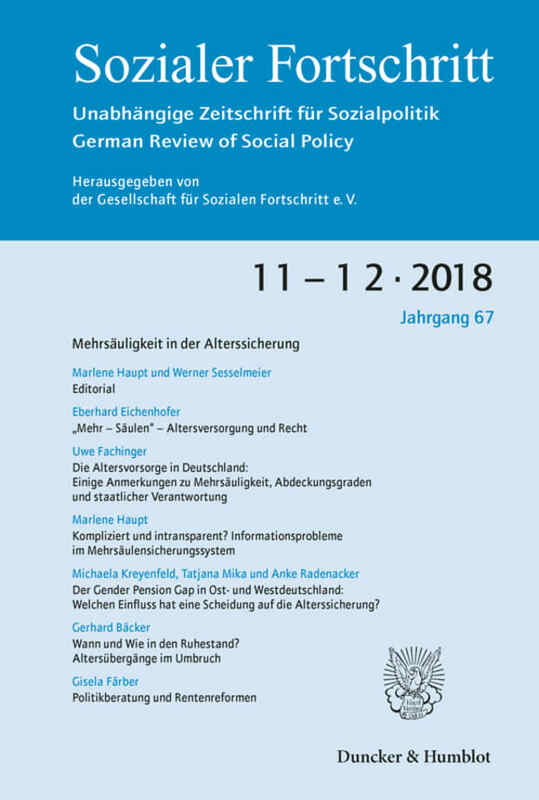 The compulsory health insurance scheme and gender-specific characteristics of exclusion from treatments and increases in contribution rates. 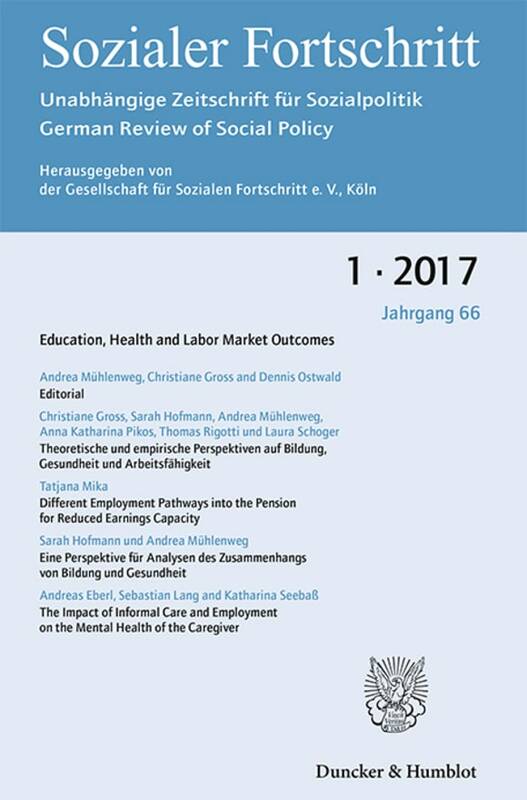 Compulsory health insurance as viewed by citizens: perceptions of how burdens are shared, and the evaluation of different reform options. 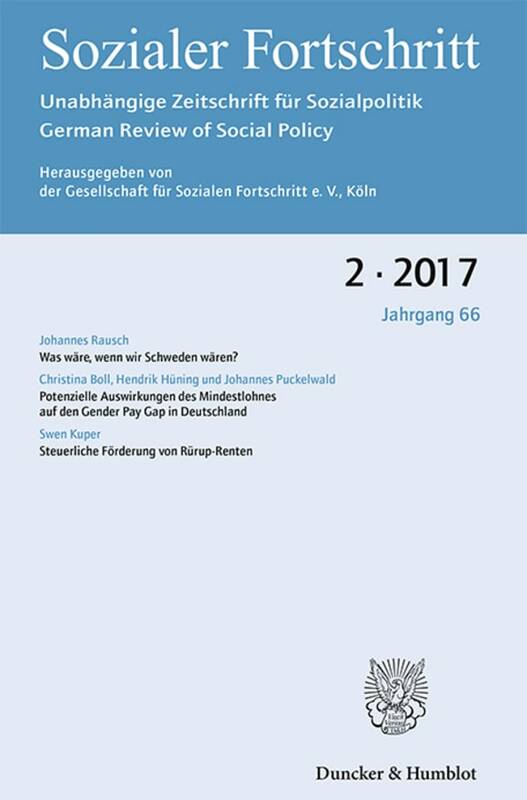 Freedom and equality in social welfare. 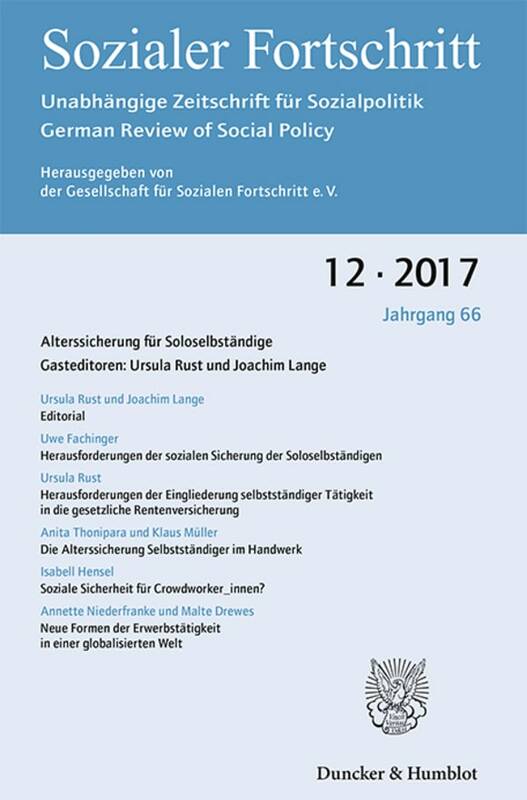 The social market in transition: strategic areas in which social enterprises could become involved. 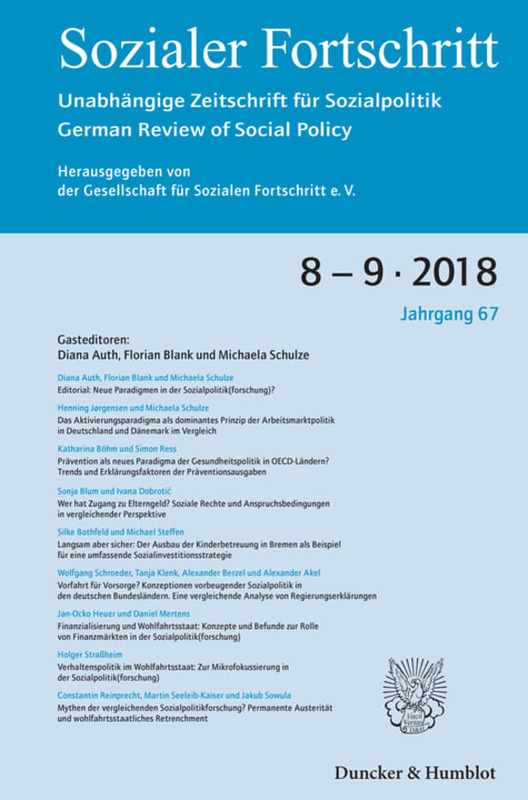 The first page of the manuscript should contain the following information: title of the paper, name(s) of the author(s), institutional affiliation(s), and address of the corresponding author. 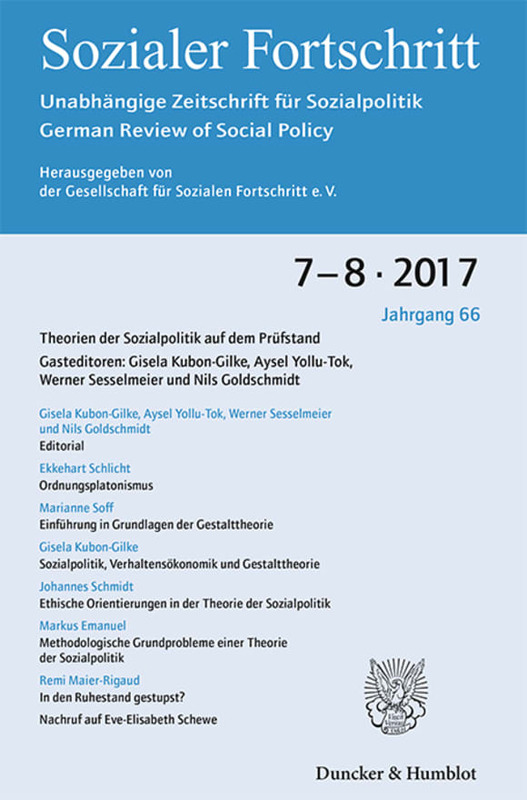 The paper should not have been published before or have been accepted for publication elsewhere. 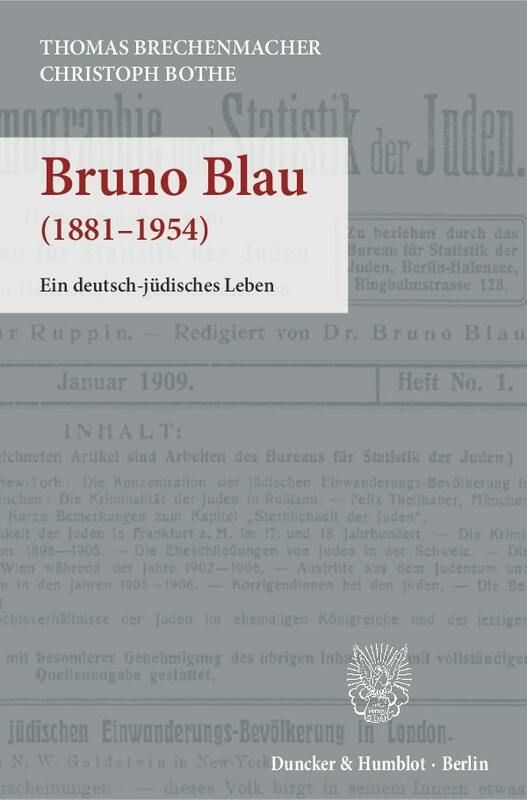 Submitted manuscripts should use the journal's preferred citation style. 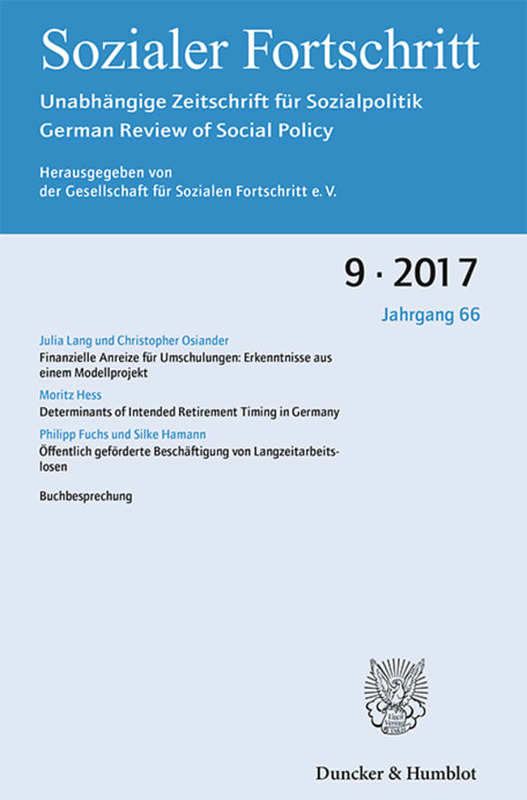 So, for example, Schmähl (2001), S. 48 or Lampert/Bossert (1992), S. 120. 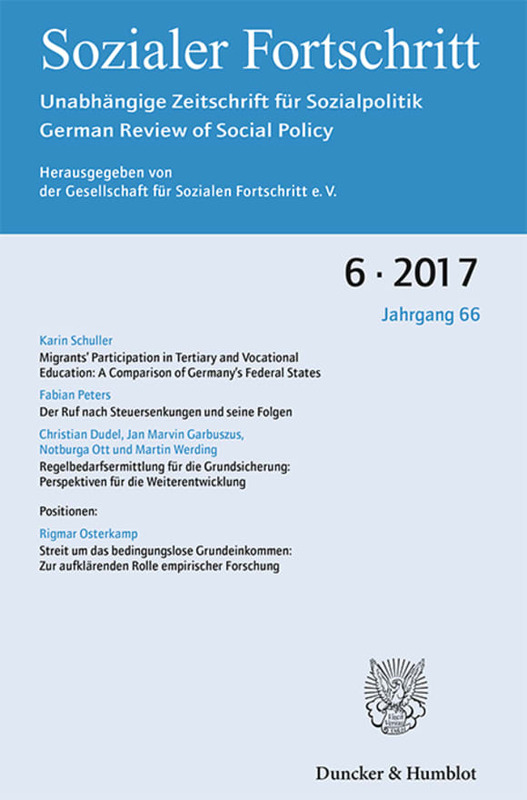 Submitted manuscripts, including figures and tables, should not exceed six printed sides. 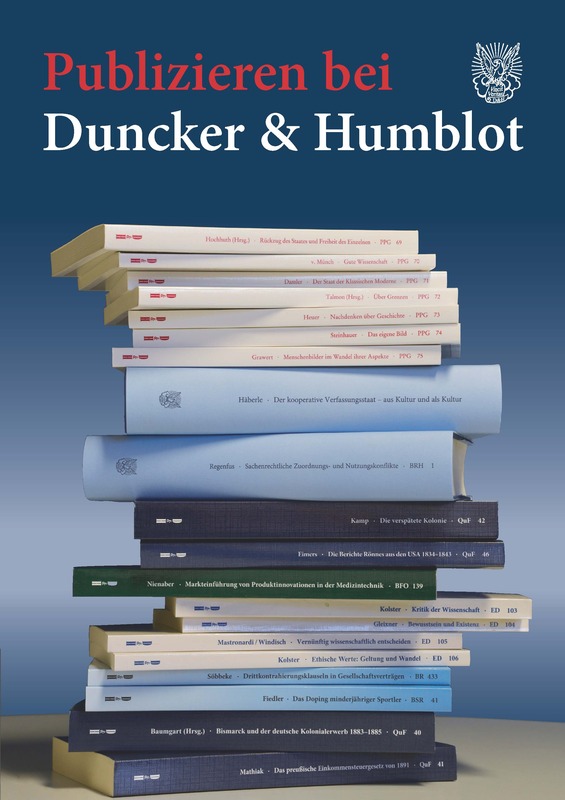 This corresponds to approximately 45 000 characters (including spaces) or 5 500 words. 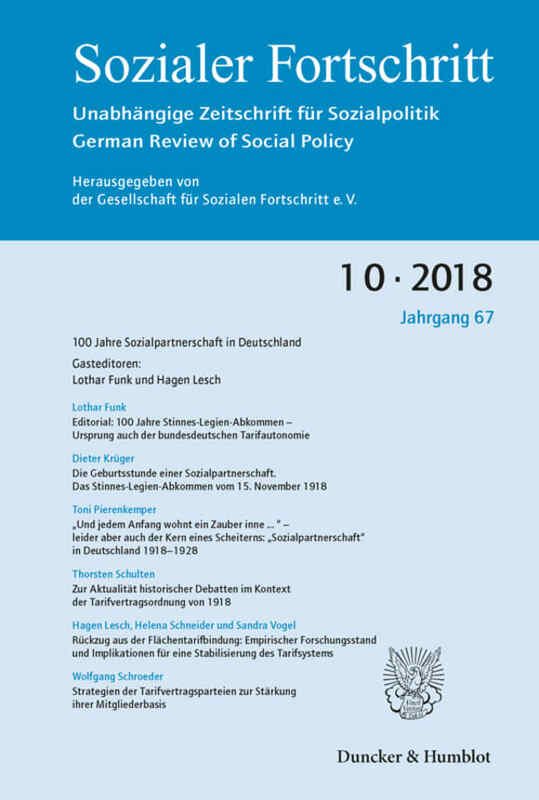 An abstract in both German and English, each of which should not be more than approximately 100 words, should accompany the manuscript. 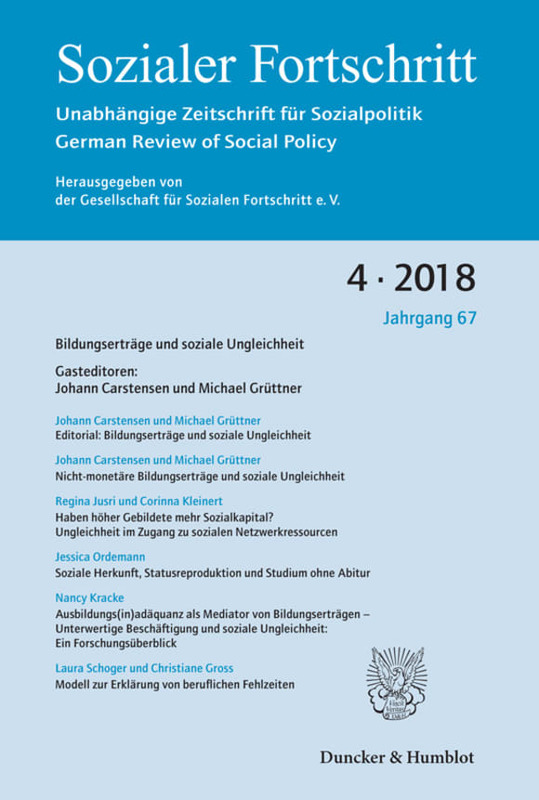 Contributions will be reviewed in a double blind process.